Top vote-getter at the Falcon Ridge, NY Folk Festival "Most-Wanted" showcase (1996) and NAIRD "Indie" nominee for singer-songwriter album of the year (1994) for Digging Through My Closet, David Roth has gained national attention for his unique songs, moving stories, and powerful singing and subject matter. "David has reached our hearts. With voices like his still singing, there's a certainty that the candle will remain li, the hope reasserted, and the dream still sung," writes Peter Yarrow of Peter, Paul & Mary. Since emerging from a nationwide field of several hundred songwriters to open the 1987 Kerrville, TX Folk Festival as its New Folk winner, the Chicago native (and two-time national anthem singer for the NBA's Bulls) has garnered accolades for his performances, workshops, writing, and recordings. In addition to singing "Earth" at the 40th Anniversary of the United Nations, David's "Rising in Love" was performed at the 100th Anniversary of Carnegie Hall in 1991. "Manuel Garcia," based on the true story of one man's battle with cancer, appears in the international best-selling Chicken Soup for the Soul: A Third Helping by Jack Canfield and Mark Victor Hansen as well as in Chicken Soup for the Surviving Soul, true stories of cancer survival. Both are available in bookstores throughout North America. "A Little Something More" was also published in 1996 by McGraw Hill in Barbara Glanz's business best-seller Care Packages for the Workplace. Her sequel will include more of David's work. 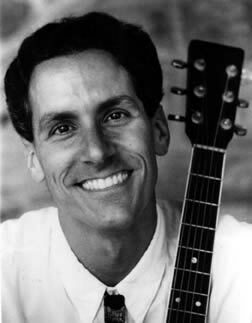 In addition to performing at music festivals, clubs, and other venues across the U.S. and Canada, David leads singing, songwriting, and performance workshops and is a presenter and emcee at a wide variety of conferences and retreats. He has been the artist-in-residence for several years at New York's Omega Institute, one of the country's leading adult education centers, and has recorded five albums of his work. Davi'd one-man play "The Gripes of Roth" premiered in 1994 at the Nomad Theater in Boulder, CO. Particularly telling are the accolades for David that come from his peers. "I have hundreds and hundreds of albums by singer/songwriters, and in my opinion, David is the greatest out there today. Strong words, but easily backed up. All you have to do is listen," writes Lucky Clark in Music in Review. Christine Lavin adds," David writes and sings songs with a devastating combination of heartfeld wisdom and incisive wit. In my eyes he sets a new singer/songwriter standard for the rest of us to aspire to, and it's a standard that is very, very high."